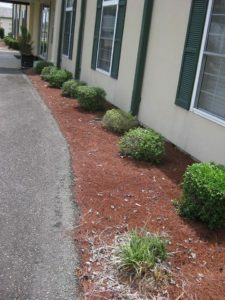 In 2005, the Sunbelt Expo in nearby Moultrie, GA put out 50 rolls of Textraw around the Expo administration building to replace natural longleaf pinestraw. They had been using 60 bales of straw costing $6 per bale installed. It’s now nine years later, and they have not had to spend $3,240 in that time. This represents over 40% in savings!